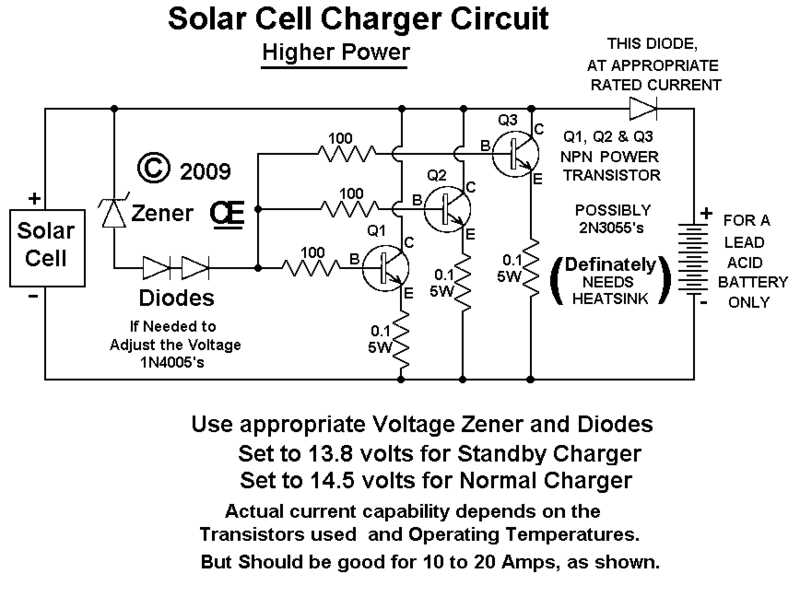 Lead Acid Batteries with a Solar Cell. 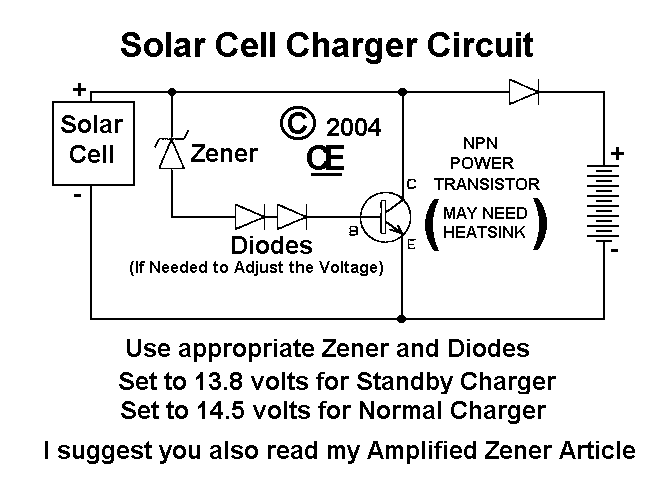 Click Here for my "Amplified Zener Article"
The "RX" Resistor "that is used on the Amplified Zener" is Not Needed for this Solar-Charger. Solar Panals are basically a current limited device. Therefore the output voltage will pull down accordingly, as the load increases. Possibly good for up to 5 Amps. "Here is a Schematic for More Current." Good for Higher currents and can be Expanded with More Transistors.